THURSDAY, Jan. 18, 2018 (HealthDay News) -- How long you take opioid painkillers after surgery is a much stronger risk factor for addiction and overdose than the dosage of the opioids you take, researchers report. The new study included more than 560,000 people who were prescribed opioids such as OxyContin or Percocet after surgery. None had a history of recent or chronic opioid use. Each additional week of opioid use increased the risk for addiction or nonfatal overdose by 20 percent, the study found. Each additional refill increased the risk by 44 percent. The first refill more than doubled the risk, according to the study. Dosage proved to be far less of a risk factor for addiction or overdose, defined by the researchers as misuse. In fact, the study authors said that among people who took opioids for two weeks or less, the risk for misuse was the same even for patients whose dosages were twice as high. However, higher dosage did significantly increase the risk for misuse among people who took opioids for nine weeks or longer, the study found. Overall, about 5,900 study participants developed an opioid addiction or had a nonfatal overdose. One-third of those misuse diagnoses occurred within a year of a patient's surgery, the findings showed. The study was led by Harvard Medical School researchers, and is scheduled for publication Jan. 20 in the BMJ. In the past 15 years, opioid overdoses in the United States have tripled and have become a leading cause of accidental death. Most opioid overdose deaths can be linked to an initial prescription opioid, the researchers said. Previous research suggests that 3 percent to 10 percent of people prescribed opioids for the first time go on to become chronic users. "We are in the midst of an epidemic, and physician prescription practices play no small part in it," the study's senior investigator, Nathan Palmer, a biomedical informatics researcher, said in a Harvard news release. 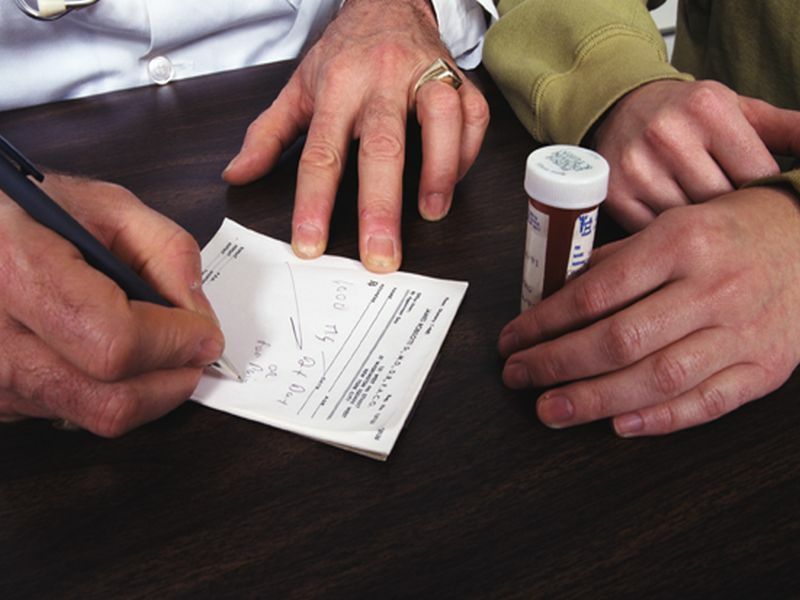 "Understanding differences in risk for opioid misuse across various patient populations and clinical contexts is critical in informing the creation of narrowly tailored guidelines, clinical decision making and the national conversation on this topic," he added. The findings show the importance of paying attention to how long people take opioids after surgery and the number of refills, the researchers said. And surgeons should not hesitate to refer patients to chronic pain specialists if their pain persists, the investigators concluded. Dr. Gabriel Brat, a co-first author of the study, said, "As surgeons, we often struggle to balance the risk of abuse with our duty to manage pain, but our findings underscore how potent a single stroke of the pen can be in fueling this risk." Brat is an instructor in surgery and in biomedical informatics at Harvard Medical School and a trauma surgeon at Beth Israel Deaconess Medical Center in Boston. Co-first author Denis Agniel, a RAND Corporation statistician and a part-time lecturer in biomedical informatics at Harvard, agreed. "Our results indicate that each additional week of medication use -- every refill -- is an important marker of risk for abuse or dependence," Agniel said in the news release.